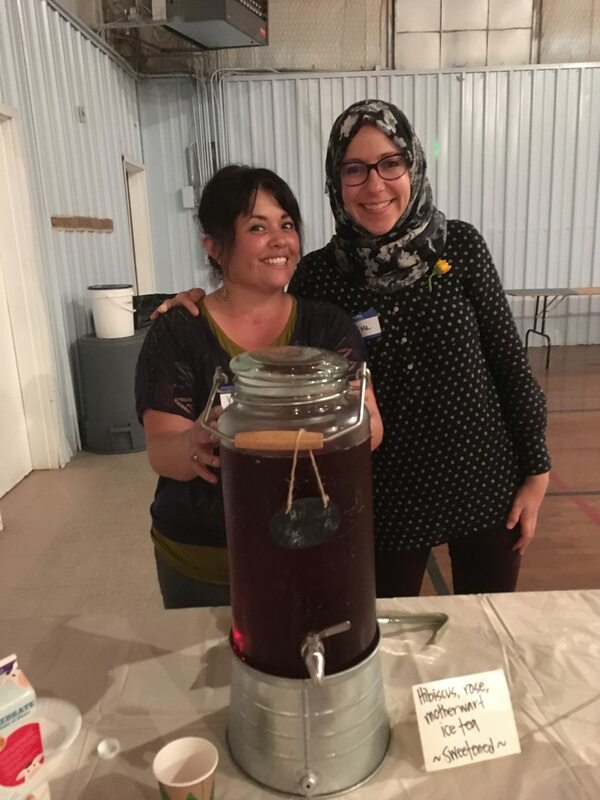 We just wrapped up our 4th annual Harvest Dinner—a culminating celebration to share the fruits of the garden and stories with the community. The dinner featured many ingredients from our own NYP garden. 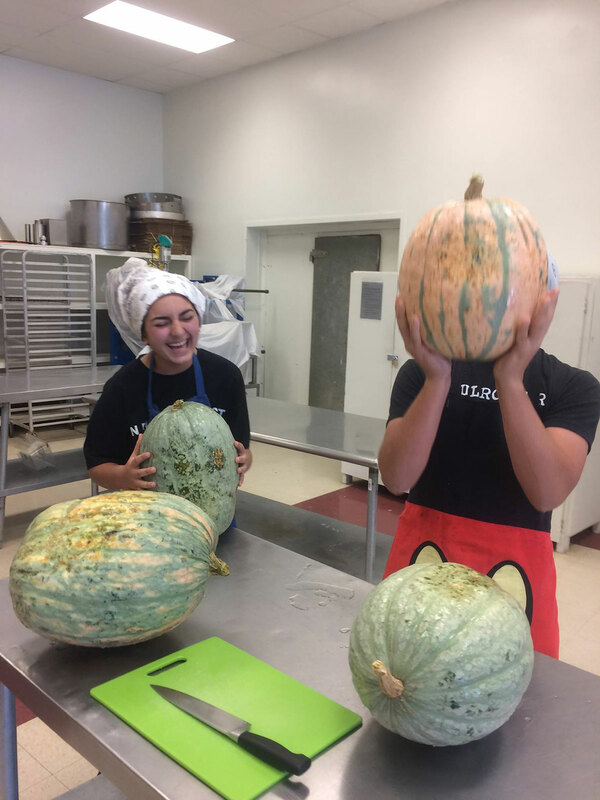 Other ingredients were sourced from local Northern NM farms and food artisans with whom the teens have built relationships during fieldtrips. 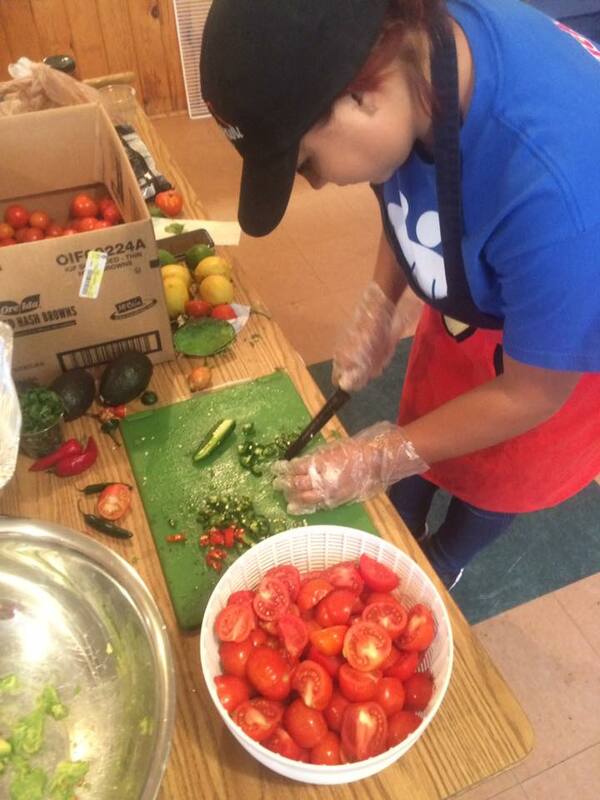 Our caterer, Margarita Garcia of Taos Real Foods created a delicious menu inspired by our produce. 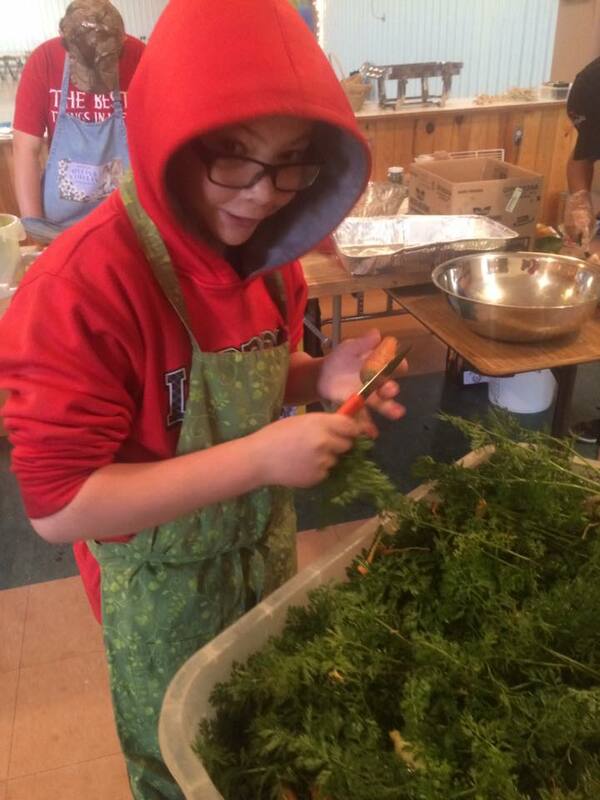 She hosted us at the Taos Food Center where the youth learned cooking and other techniques to create the feast! 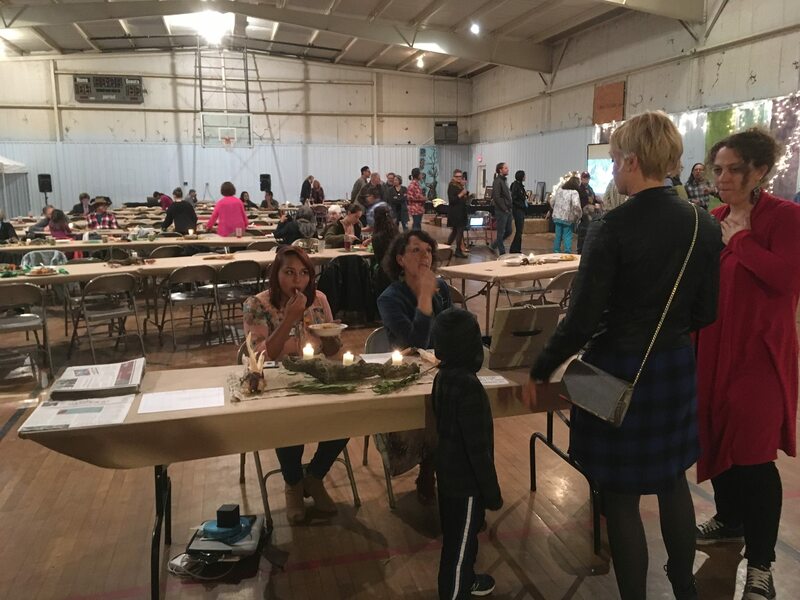 With beautiful arrangements and centerpieces created by Yvonne Casaus foraged from the mountains and nearby farms, the gym was transformed into a harvest wonderland. To lessen waste, we used biodegradable paper tablecloths that have now been put into the worm bins and we composted the food scraps from the meal. With the help of Dar Al Islam we had access to reusable cups, plates and silverware rather than disposable items. All the intentions, planning and preparation for the dinner paved the way for an incredible event. Music filled the air as the community enjoyed the homemade pumpkin lasagna, local salad, homemade bread, and apple corn cake topped with Taos Cow ice cream. 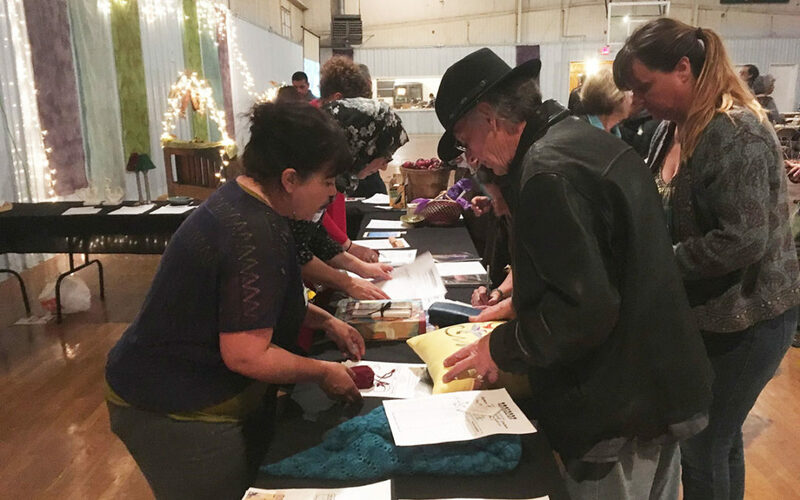 The community artists, growers, loggers, and crafts-folk were incredibly generous with their donations for our Silent Auction . The youth also showcased and sold artwork they created. Along with additional contributions we’re on our way to meeting a generous matching grant from the Gerald and Dorothy Friedman Foundation. A perfect way to celebrate and close out this beautiful year of art and agriculture adventures with the NYP youth. We went home that evening with our bellies full, hearts warm from community building and content with a year well spent. Panzas llenas, y corazónes contentos. Special thanks to contributors who made this event possible including: Some Serious Business, The Friedman Foundation, United Way of Northern New Mexico, Northern Rio Grande Natural Heritage Area, Santa Fe Community Foundation, Ann Sherman, Dar Al Islam, Cid’s Food Market, La Montanita Coop, Taos Cow, NM Pinon Coffee Roasters, Querencia Creations, Moving Arts Espanola, Herbs, etc., Country Farm Supply. And big Gracias to volunteers Samia Van Hattum, Fatima Van Hattum, Marcela Casaus, Kevin Spitzer and our amazing teens Brianna Padilla, Matias Coronado, Rio Manzanares, Andres and Angél Montoya for working so hard to create an amazing event.